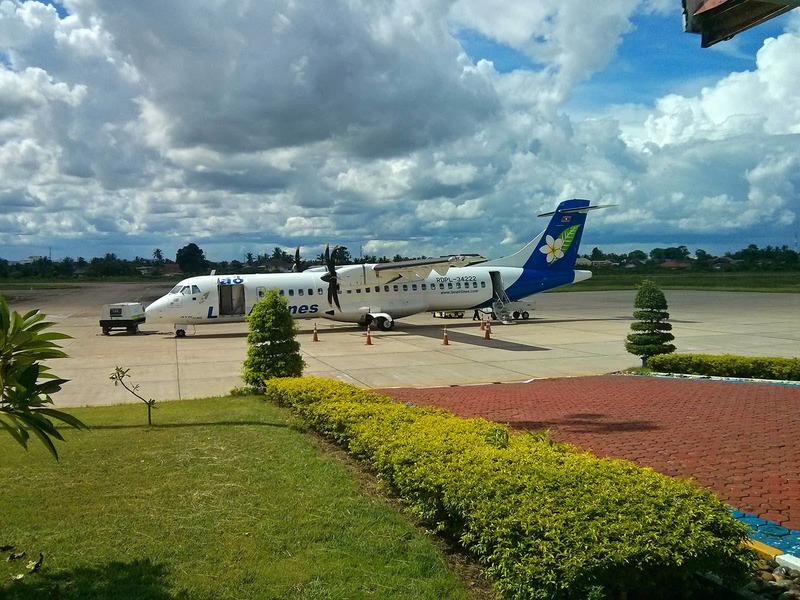 City Savannakhet It has its own international airport: Savannakhet airport (code ZVK). Currently this airport only operates airline Lao Airlines with flights to Pakse and Vientiane, and international flights to Bangkok (Thailand) Danang (Vietnam) Phnom Penh (Cambodia) and China. Savannakhet airport, although it is an international airport, is a very small airport only 2 rooms (1 room for domestic flights) and 1 room for international flights. The airport is located right in the city of Savannakhet, east bank of the city. The center of Savannakhet is west along the river, where there are also a few hotels in the city. As important note I will say that at Savannakhet Airport there are no ATMs or either exchange houses to change currency. Tip: have to bring cash (US dollars or Thai Baht, the euro is not a currency popular in Savannakhet). Savannakhet Airport there is no taxi service, not service tuk-tuk and much less regular line bus. At the entrance to the airport we can only find local people who use your car or van for passenger transport. The cost is negotiated with the driver (have to haggle), since there are no taximeters. The cost of the taxi from the airport to the Centre of Savannakhet is paid in Lao Kip, Thai Baht or dollars. There are no alternatives to transport makeshift taxi drivers tend to take advantage of the situation charging between 80,000 and 100,000 Kip (between $ 8 and $ 10) by the race to cover the journey of just 3 kilometers that separate central Savannakhet airport. The good news is that it is possible to process the on -arrival visa for Laos small airport in Savannakhet. In this case the airport is so small and so little passenger traffic, greatly accelerates the visa on arrival in Savannakhet. This is a video of the interior of Savannakhet airport, where we see the smallness of its size, however this small airport has a nostalgic feel where we can walk the few meters separating the boarding of the plane waiting for us on the track of landing. For those who are going to fly to Laos and Savannakhet airport step we wish you a happy flight. Visa to Laos I can? Process the on -arrival visa for Laos in Savannakhet airport?